Navigating on the water can be a ton of fun – however, it isn’t always entirely safe. For some reason, being on the water can make some watercraft motorists get a little fast and loose with the rules of boat safety. And when that happens, so will accidents. But you can protect yourself with Boat insurance no matter whether you’re insuring a large yacht or a couple of jet skis. Just make sure you know the ins and outs before purchasing your policy. There are all sorts of ways to enjoy the water. You can explore the seas in a yacht, cruise around the coast in a speedboat, dip your fishing line at your favorite watering hole, or just crash through waves on a jet ski. But whatever type of watercraft you like to enjoy, you should protect it and yourself with an affordable boat policy. All of the above can be covered with this policy. Also, keep in mind that bundling multiple watercrafts under the same insurance policy may provide a discount, so be sure to look for such deals while you shop around for the best boat insurance quotes near you. Boat Liability Insurance – Boat liability insurance can protect you if you happen to injure someone while operating your boat or if your boat damages someone else’s property. It can also help pay for legal fees if the collision results in a lawsuit. Boat Medical Payments Coverage – If you, any of your resident relatives, or any other occupants are injured while operating your boat, medical payments protection will cover their expenses up to the limits of your medical policy. Knowing the facts about automotive insurance discounts can help you save on boat insurance, too. 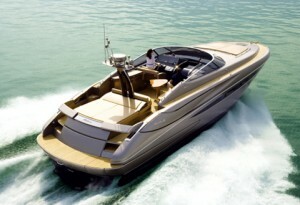 For starters, just like with a car, having a solid safety record can get you cheaper premiums for boat insurance, too. If you already have a clean driving record, that’s a good start. If not, ask your insurance agent about taking a boat safety course. It’s entirely possible that your insurance company will offer a discount for a boat safety class even if you already have a good driving reputation. Here’s another thing to consider: how many claims have you had to file in the past? Because claim-free or nearly free policies might also get you some lower rates. And lastly, there are some companies which offer discounts for diesel-fueled boats (as opposed to those which run on traditional gasoline. If you comparison shop via the internet for lower rates, you can find affordable yacht insurance, sailboat insurance, jet boat insurance, personal watercraft insurance (pwc), marine insurance, jet ski insurance, motor boat insurance, power boat insurance, or speed boat online.